The collection combines an impressive list of 39 Sega Genesis games and nine more unlockable Sega Master System and Arcade games. They're not all winners (I hate Super Thunder Blade), but chances are casual and serious fans alike will find many of their system favorites here. The games are emulated extremely well, they're presented simply and effectively with historical notes, and the modern amenities like save states and awards are a nice bonus. The only notable complaints I have are that Sonic & Knuckles can't be connected to Sonic 3 (or Sonic 2). Regardless of how you feel about compilations as a gimmicky genre, size and quality make this one of its best. Check out that beautiful list of titles. I'm typically a resourceful, value-centric guy, so naturally I love compilations. When I finally got a PlayStation 3 (a very long time after its release), I didn't have much money leftover for anything to play. Knowing it would suit me, the shop-owner at Gamer's HQ offered a deal on this (already cheap) game to ensure I didn't leave empty-handed. I loved it so much that when I got an Xbox 360 a couple years later, I immediately got it for that, too. If it came out on the PlayStation 4 or Xbox One, I'd get it for them (which is only funny if you know I don't own either console). 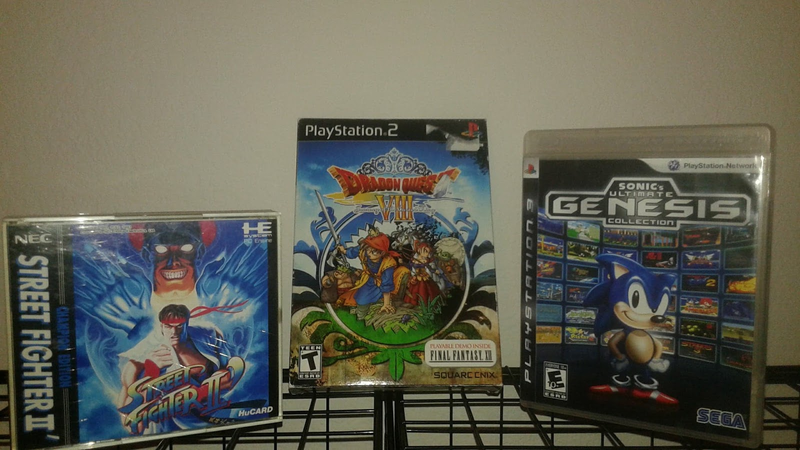 Any copy would be great for my Favorite Shelf, but I'm going with the PlayStation version because it represents my first and highly successful foray into the seventh generation of video games.